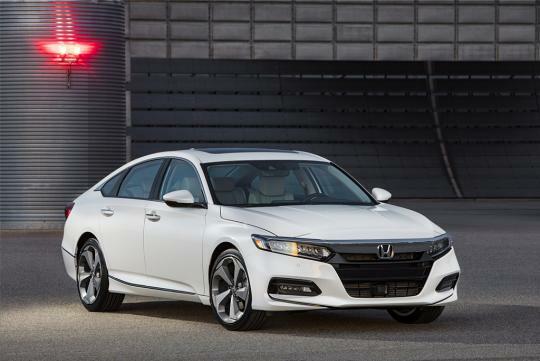 Honda has unveiled its all new Honda Accord for the American market. It is set to go on sale in September with turbocharged engines. 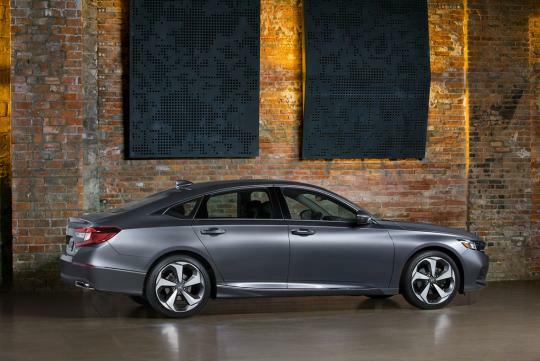 Featuring a face similar to the Civic, the new car has a sportier and lower roofline, making the car look much sleeker than before. 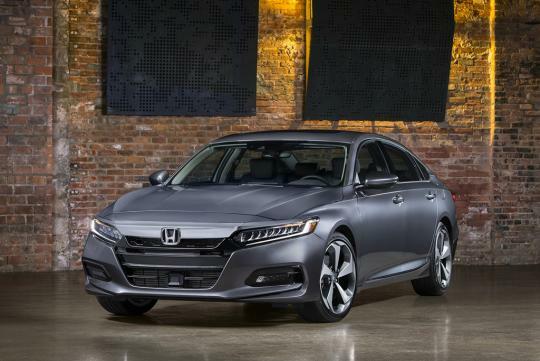 Seems like Honda is staying away from the usual three-box sedan design and is giving its sedans the trending fastback look a.k.a Audi's A7 and BMW's 6 Gran Turismo. Inside, drivers will find a new three-spoke steering wheel, new soft-touch instrument panel and and an 8-inch Display Audio system with physical knobs for tuning and volume. Seats are said to be new too with more deeply padded arm rests and taller shoulder bolstering for additional support. Rear passengers will get to enjoy almost two inches of extra rear seat legroom. Teck geeks will be happy to find a new 6-inch head-up display and wireless smartphone charger in the car. Meanwhile the keener owners will be be treated with a turbocharged 1.5-litre four-cylinder engine that develops 192bhp and 260Nm of torque and will be paired with a continuously variable transmission. A 2.0-litre turbocharged unit with 252bhp is available with a new 10-speed automatic but it is unlikely to make it to our shores. Thanks to a lighter and more rigid body structure which uses ultra-high-strength steel, the new model will weigh between 50 to 80kg lesser than before. The car is also said to have a lower center of gravity, making it better to drive than before. Designers are taking the easy way out. Uncanny resemblance to the Civic. 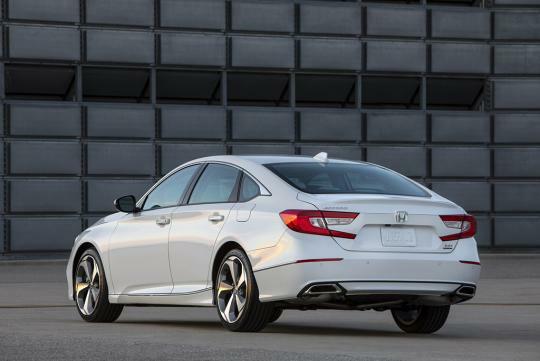 Honda seems to be following in the footsteps of Mercedes Benz, whereby the C, E and S class look like the Small, Medium and Large version of one another. not too sure if the Arteon from VW will be a better car then the Accord.